Like a gradually decaying living corpse, the return of The Walking Dead is lumbering our way. Season 5 of AMC’s hit zombie series returns on February 8, but until then we’ve got plenty to keep us busy. We now know the title of midseason premiere, have a new plot synopsis of the episode, and reports of dire, dire times ahead for Rick (Andrew Lincoln) and his rag tag group of survivors. We may stray into spoiler country beyond this point, be warned. As is their pattern, The Walking Dead marked the midseason finale with another tragic character death. If you’re caught up, you know that Beth (Emily Kinney) is no longer among the living, and that’s going to weigh heavy on a lot of folks, especially Daryl (Norman Reedus), who formed a special bond with Beth, and her older sister Maggie (Lauren Cohan), who just learned her kid sister was alive before seeing her dead body. What exactly this means isn’t clear, as it could go any number of ways, but given how bad things usually are, the fact that they use the word catastrophic, and in italics to boot, seems to indicate a special level of torment and hell for the characters. Does this mean a burial goes wrong? Like they try to inter Beth’s corpse only to have it get eaten by walkers? That could leave some scars. Beth got shot in the head, so she can’t come back, so it isn’t that. She’s also been a key link to the humanity of the group, with the openness of youth. Maybe Rick’s way of honoring her memory was that move at the end of the last episode, where he welcomed anyone from the hospital to join their group, and maybe that doesn’t go well? I’m just spit balling at this point, but the word catastrophic seems to imply that someone is going die. It’s just mean to kill off someone while they weep for another, but we wouldn’t put it past The Walking Dead. Maybe it won’t be a major player, and Tyler James Williams, who plays Noah, just got a gig on another show, so it’s entirely possible he’s not long for this zombie-infested world. 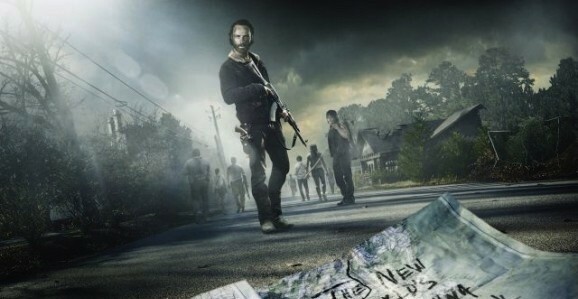 The Walking Dead returns with “What Happened and What’s Going On” on Sunday, February 8.